The other day I was talking to a friend of mine about old movies, about Dracula and Vampires. As all of you can probably figure out, I love movies. I really like the older movies as well. 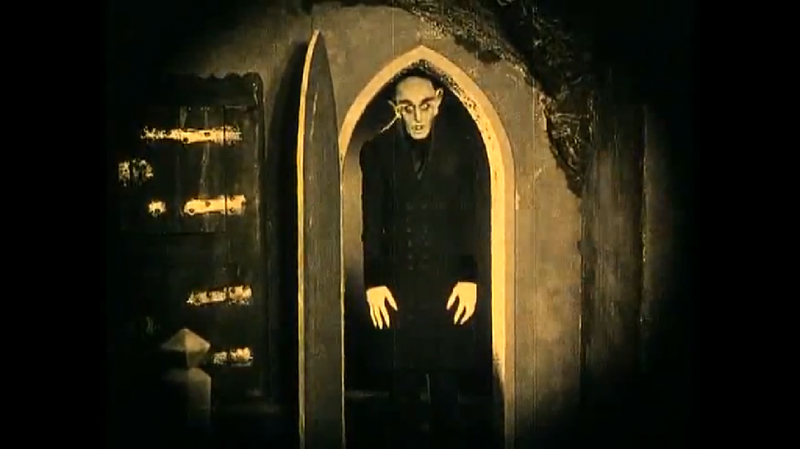 There is one, Nosferatu, that is just amazing. Released in 1922, it was the first Dracula movie ever made. Yes, this means that it is a black and white movie. It is also a silent film. A lot of people do not realize just how much work went into making silent films. Sure, they do not have all of the special effects that we see in modern movies, but they still had to put a lot of work into them. Film sets back then were most often an actual location that best represented where the scene was to take place. 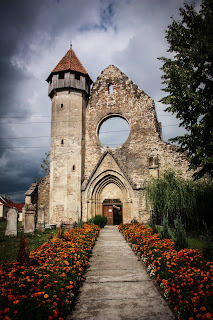 For example, when the action takes place in a castle in Nosferatu, they are actually filming in a real castle. This is not the case for all movies; sometimes they had really good set crews. The set crew of Nosferatu got really lucky and found a castle in which they could film. Another thing that is not always considered is the skill level of the actors in the movie. Acting in a silent film was not an easy job. 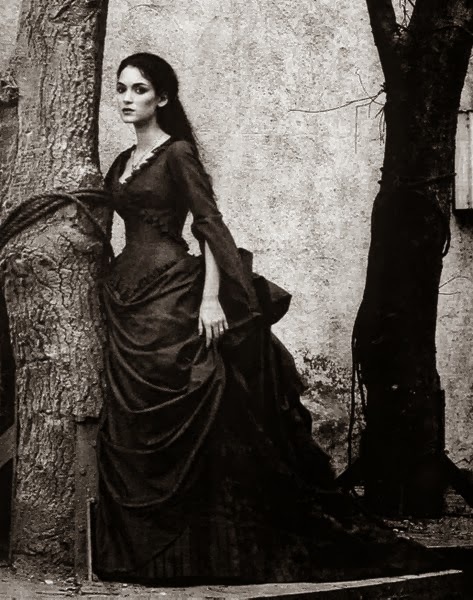 The actors of Nosferatu would not have been able to do take after take after take. They would have been limited because film was really expensive. They did not have the option of digital filming like we have today. The actors in Nosferatu also had to actually portray all of their emotion for a line within a few seconds of screen time. Sure, there are times when they were overly dramatic, but they had to be in order to get the emotion across. 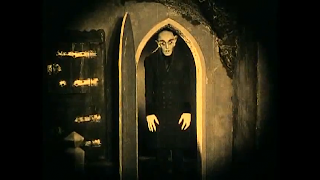 Keeping with the idea of portraying emotions to the audience, the composers working on Nosferatu, any silent film really, had an important role. Ok, I know that the genre title "silent film" can be a little misleading — these films did have music, but the actors were not heard. The only audio that the audience got was the music. 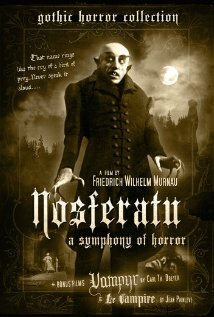 I really think the composers of Nosferatu's sound track did an amazing job. The music they created really made people aware of the emotion that they were trying to portray. Normally at this time I would be looking at the make-up artistry that went into this film. When looking into this stuff I found some interesting reports. Apparently the actor who played Dracula did not have any make-up or prosthetics done. That is how he actually looked in real life. He only acted this one time in Nosferatu, and he was never heard from after filming finished. It is said that he volunteered for the role, not accepting any pay for the job. He also would not be seen until the sun set and would be gone before the sun rose — only filming at night. There were also some reports of a few of his assistants disappearing. There were two or three of them and all were young women. So, I have to ask the question: Do you think that they were just trying to create hype for the movie with these reports, or did this guy actually think he was Dracula? 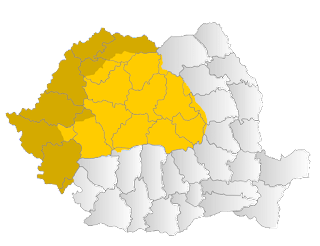 My grandmother and grandfather were Transylvanian Saxon. The moved to Cincinnati in the mid 50s, but most of our family is in Canada. Is there a community of people you have worked with when doing research for your book? I have not forgotten about your comment. I am re-collecting information about the groups and communities and will post about it next week.